With such a new invention that was not widely accepted, one might wonder who President Hayes wanted to call or who would be calling him? In May of 1876 the only other number in Washington was to the Treasury Department. It would take a while before the first telephone exchange would be created. The White House phone number was #1. It would take another 50 years before the telephone actually became a regular feature of the President’s desk when President Hoover had one installed in the Oval Office. Lucy Webb would become a woman of many firsts throughout her life. She would become the first wife of a president to be called the “First Lady.” She would be the first wife of a president to have graduated from college. She would be responsible for bringing the first telephone to the White House, the first typewriter to the White House and her and her husband would initiate the children’s “Easter Egg Roll” in the front yard of the White House. 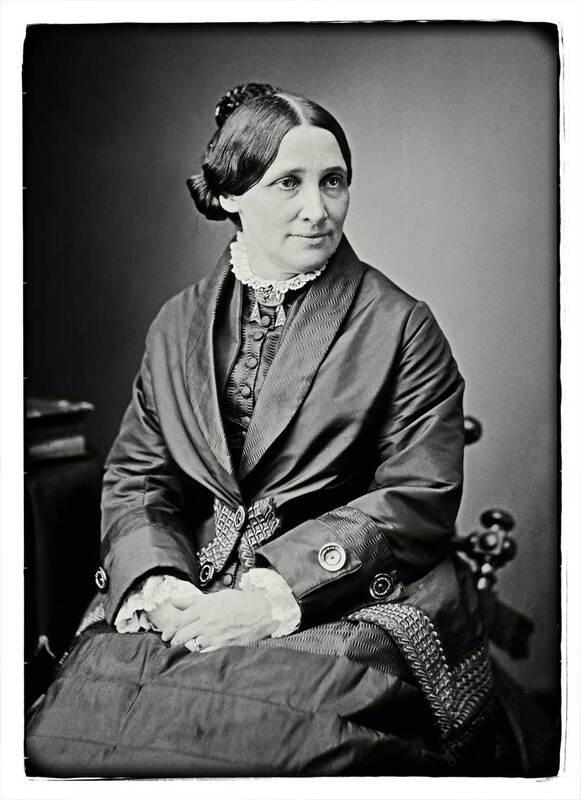 While being First Lady, Lucy Webb Hayes, wife of Rutherford B. Hayes, the 19th U.S. President, endured the endless social schedule involved with that title, but what she loved to do was entertain her wide circle of friends in the White House. That circle of friends included several women that would someday have those same responsibilities. Ida McKinley, wife of congressman William McKinley was a frequent guest even substituting for Lucy at some White House functions when Lucy had other commitments. Lucy invited to one of her private socials, Rutherford’s former law partner’s sixteen year old daughter, Helen Herron who found the get together the “climax of human bliss” and vowed that she would someday return to the house as First Lady (she did as Howard Taft’s wife 30 some years later). Lucy’s strong religious beliefs had always guided her life and just because she was a temporary resident of the White House, it was no reason to amend those beliefs. She and when he was in town, Rutherford, regularly attended services at the Foundry Methodist Church less than a mile from the White House. Not only did she attend regular Sunday morning services, but also actively involved herself in church activities walking to and from the church. Lucy grew up in a Methodist household and graduated from a Methodist college, and she had long embraced the churches stance on Temperance. Feeling no compulsion to change her belief system when her husband narrowly won a hard fought election, Lucy banned all alcohol from the White House. Years after Rutherford left office, his wife would sometimes be referred to as Lemonade Lucy– but never to her face. Certain previous First Ladies had been sharply criticized for reasons that today would seem unfathomable: her hair is too frizzy, her wardrobe is outrageously scandalous, exposed neckline, bare arms, powdered face. Lucy seemed to have a personality or air about her that did not immediately draw poison from the press’ pens. Quite the opposite. Lucy was the modest woman from Ohio who wore no jewelry, and more often than not wore only black, that matched her black hair that was always parted in the middle and pulled back in a tight bun. Only on special occasions would she adorn her hair with a hair beret as an accent. She was finely accustomed to the elevated requirements of a politicians wife. 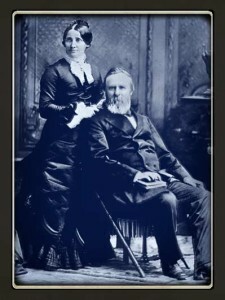 Her husband had been elected governor twice, and he had served in the US House of Representative. Those requirements were mere nothings compared to what she endured being close to the blood of battle and smell of death as she attended soldiers fighting under her husbands leadership during the War of the Rebellion. Lucy seemed not to use her position in life as the First Lady to adopt causes even when she believed in those causes. Her position was the result of a marriage and nothing other than support her husband had she done to garner power that could be wielded across the country. That support of her husband could not be so easily dismissed as powerless. Lucy had great influence with her husband if she chose to use it. It had always been that way between them, even after they first met. Lucy had first met Rutherford Birchard Hayes, who was born in Delaware Ohio, while she attended classes there along with her older brothers. She was just 14 years old the first time she met Rutherford who was 23. By that time Rutherford had already attended a private school in Connecticut that would later become a part of the Wesleyan University. In 1842 he received his degree from Kenyon College and then went to Harvard College to become a lawyer and graduated in 1845. It was probably after his graduation when he returned briefly to Delaware to see his family that he encountered the young Lucy. While in Delaware, Lucy’s mother became friends with Hayes’ mother and the two women most certainly discussed ways of getting their two children together. Although Rutherford would begin practicing law in Lower Sandusky (now known as Fremont) it was a small town with really not enough legal work to suit his drive. 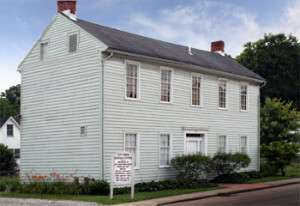 In 1847 he had some health issues and decided to take a trip to Texas where he spent some time before returning to Ohio and in 1848 he relocated to Cincinnati to open a new law practice there. Here he became involved with the Abolitionist movement and became reacquainted with the much older Lucy, now 18 and a college graduate of Wesleyan Woman’s College in Cincinnati. In less than two years of her graduating from college, Lucy and Rutherford B. Hayes were married and together they would fight many political battles and wars, but they would never lose sight of their profound love for each other. They would spend their remaining days at their home in Fremont. On June 25, 1889 while Rutherford was attending a meeting in Columbus, Lucy had a stroke and died in the early morning hours. Three and half years later, Rutherford died of a heart attack at his home in Fremont. Both Lucy and Rutherford are buried on their estate called Spiegel Grove in Fremont Ohio. On this day in in 1831, Lucy Webb was born the third child of Dr. James and Maria Cook Webb in a two story framed house at 90 West Sixth Street in Chillicothe, Ohio. 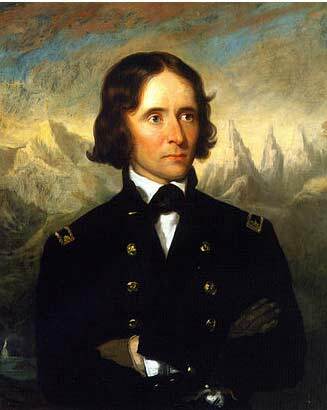 On this day in 1844 John Charles Fremont, an American map maker, arrived at the Great Salt Lake in what would later become Utah. It’s not that John Fremont actually discovered what was once a sea, but the fact that during this expedition Fremont’s maps would define what became known as the Great Basin, of which the Great Salt Lake was a part. 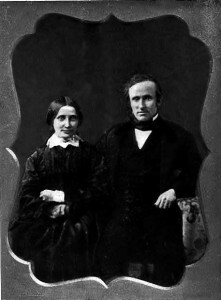 Although John Fremont never had much to do with Ohio in any way, he was recognized by Rutherford B. Hayes as a political and personal force and it was at Hayes suggestion that the little community where Hayes happened to be practicing law, suggested that the community be named after John C. Fremont, which it did. Today we know that sleepy town along the Sandusky River where people flock when the walleye are running is named after John C. Fremont, the map who began mapping the Great Salk Lake on this day. Oh yes, he also captured a little town named Santa Barbara during the Mexican-American War in 1846. This brought the Mexican Territory of California under control of the United States of America. Three years later in 1849, young Rutherford B. Hayes, living back in Ohio along the Sandusky River recognized a good thing when he saw it. He lived in a village without a name, and when gold was discovered in California not far from where John Fremont was stationed, Rutherford suggested the little village along the Sandusky River where he had been practicing law for the last several years, be named after the famous mapmaker and soldier John C. Fremont.